I'm stoked to introduce today's guest blogger, award-winning author Jordan Link, who's here as part of the blog tour for her upcoming release, The Sacrificed, a young adult fantasy releasing this month from Entranced Publishing. She's here to teach readers how to create unforgettable fictional worlds for their stories. World-building is more than just setting; it's the entire backdrop in which your characters live. If the world doesn't thrive, neither do they. Emerald Hayden lives in the City of Centsia, a half-winged among the other walkers. She has no family, friends, or food: only a grim future filled with tiresome labor in the upper level’s factories. But everything changes when she meets Dusk, a winged from the place that she previously scorned. He opens her eyes to a new possibility: the possibility of the unity of winged and walkers, of freedom, and of love. Together, they decide to challenge the upper level’s supreme, winged council. But when a friend betrays them, they must choose whether to sacrifice their beliefs and save their own lives, or to remain along the thin line that divides the city in two. Success could mean liberty; failure, death. Check out the gorgeous book trailer on YouTube and the fiery cover posted below! And without further ado, let the guest post begin! Hey Fictiffous! It’s an honor to be here on the blog. For me, there are three steps in creating fantastic worlds, ones that readers will stay riveted to as they flip or click through the pages of a novel. I use these in all my literary works, from spur-of-the-whim short stories to full-blown manuscripts. The first step that I take is to create the setting: the main city, town, or cove that my characters will originate from. Sure, they may travel from place to place as the plot twists and turns, but giving the characters a place that they can call home is very important to my tales. In The Sacrificed, that place is the city of Centsia, a divided place thick with green glass buildings that sparkle under the moonlight. Unfortunately, those buildings are only the face of the city, masking what lies beneath its impeccable surface. The second step is, of course, the characters. Without them, as all authors know, our plots would be barren, empty of the action and comic-relief needed to keep booklovers entranced. It is certainly important to make characters flawed, but, needless to say, our characters possess a certain confidence and diligence that we could never dream to possess. 16-year-old Emerald Hayden, the heroine in my premiere novel, must stand tall against the city’s council, as well as her own internal turmoil, to survive predicaments that would make even the most intrepid person craven. The third and final step is the conflict, the one or several things that threaten to tear the characters apart. Conflict is key: not only to the movement of a novel’s events, but to the development of a character’s personality. It is crucial that a main or minor character finds a realistic solution in the event of disaster, or die trying. Jordan Link was kind enough to send over an excerpt for her blog tour readers! You can read it below. Slowly, ever so slowly, she dropped to her knees and peered around the corner. There was a winged boy standing there, muttering something to a few walkers. It was impossible to distinguish the color of his eyes, or even his expression from her sheltered position, but his features were still rather shocking. His hair was a creamy white, a pigment that Emerald had only ever seen on the heads of other winged. His skin was pasty and faded. She wondered between pounding heartbeats how the winged remained so pale when they spent so many days in the sky above Centsia, arcing near the curve of the sun and circling back around again as they went to and from their duties. The boy’s wings, however, were by far his most striking feature. The feathers seemed to form intricate pictures as they fluttered in the midnight breeze. Emerald continued to stare as the boy withdrew something from his pocket. 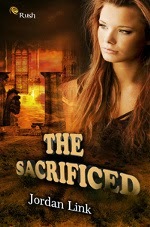 Jordan Link is currently contracted with Entranced Publishing for her novel "The Sacrificed", which will be released on May 6, 2013. 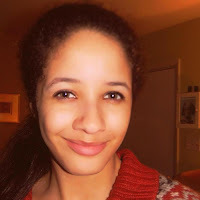 She won first place in Jack L. Chalker's Young Writers Contest of 2012 for her short story “The Bubble”, and attended Balticon 46 last year. She earned an honorable mention on December 3rd for the Young Voices Foundation Short Story Contest and will be published in their anthology "Oh, the Stories They Tell!" which will be available on Amazon. Her early love of reading inspired an equivalent passion towards writing, and she plans to continue doing so. You can follow Jordan Link at any of her social media links listed below. Thanks for reading this blog tour guest post! We hope it's inspired you to check out The Sacrified. And as a special thanks from Jordan Link and Entranced Publishing, be sure to enter the giveaway below! What do you think of the book's premise? Will you be adding The Sacrified to your Goodreads TBR shelf?